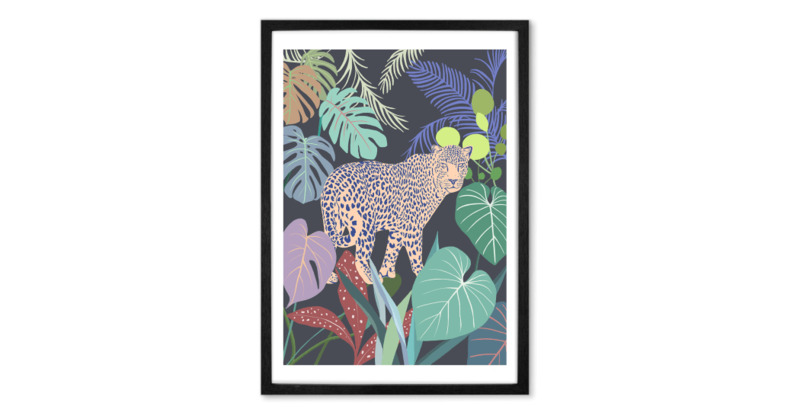 This jungle print has all the best bits: a proud leopard and dramatic foliage, on an unusual black background. Pastel shades of blue, pink and green make this jungle print anything but ordinary. It'll make a big impact on your wall.